No, I haven’t started talking in the third person. This isn’t my Greek Tomato Salad recipe. Betsy’s brother-in-law also shares my name (and blogs!) and this is his lovely recipe that I first had while we were on vacation last week. And just so there is no confusion: if you vacation with me, I will absolutely, unabashedly steal your recipes. Especially if they are this good and this easy. I can’t help myself. I have to peer over shoulders… taking mental notes… only to rush home and reproduce it as best I can. What makes this salad so wonderful is using the ripest tomatoes you can find. The juice from the tomatoes helps flavor the dressing, which is mostly just red wine vinegar and a lot of it. Don’t let August tomatoes go by without making this simple bowl of food. 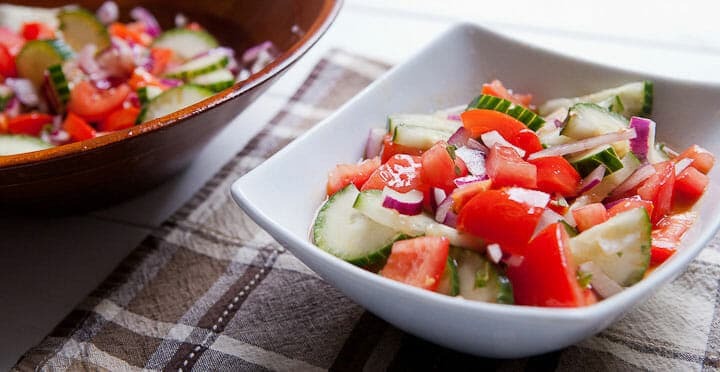 Greek Tomato Salad is a simple but super tasty Greek salad recipe that is really at it’s best with the ripest tomatoes you can find. 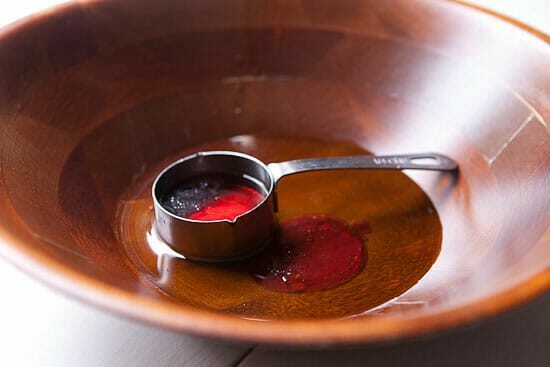 1) In a large bowl, whisk together oil and vinegar and season with a big pinch of salt and pepper. 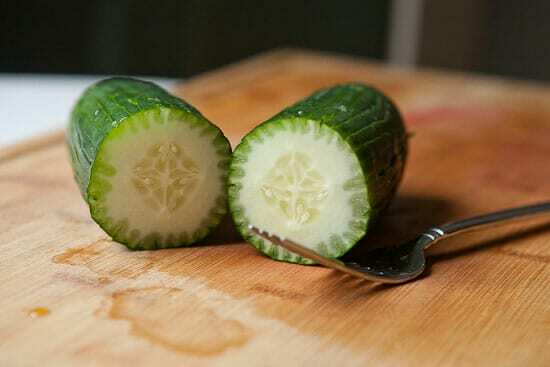 2) Run the tines of a fork down the side of a cucumber and chop into half rounds. Slice red onion into rough slices. 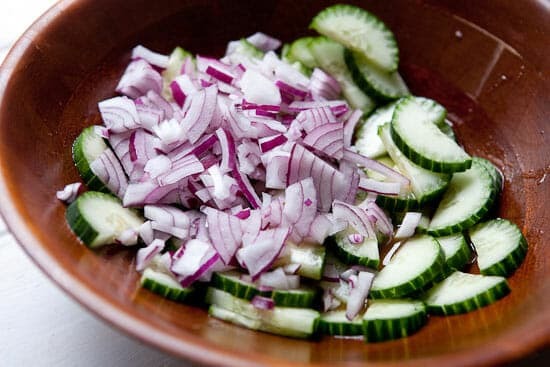 Add cucumbers and onions to the bowl and toss to coat with dressing. 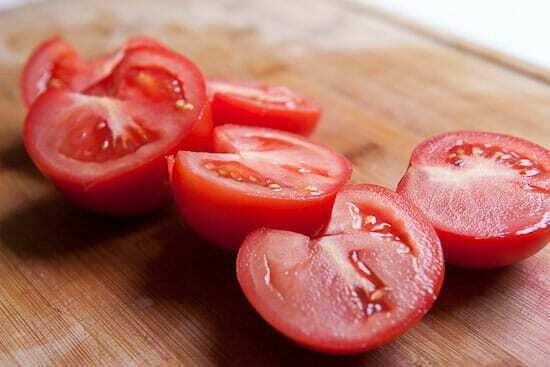 3) Roughly chop tomatoes and add to the bowl with any juice. Stir to combine. 4) Sprinkle fresh oregano over salad and season it to taste with salt and pepper. It’s best to let this sit for a bit before serving. Toss it together before serving and don’t be afraid to add another splash of vinegar. Don’t get too caught up by the amounts in this Greek Tomato Salad. 3-4 tomatoes is about right though and I wouldn’t add too much more onion to the salad. It’s all extremely flexible though. Ripe tomatoes are the key. Don’t even bother trying to make this Greek Tomato Salad in February. Make it now. Today. With bright red, juicy tomatoes. 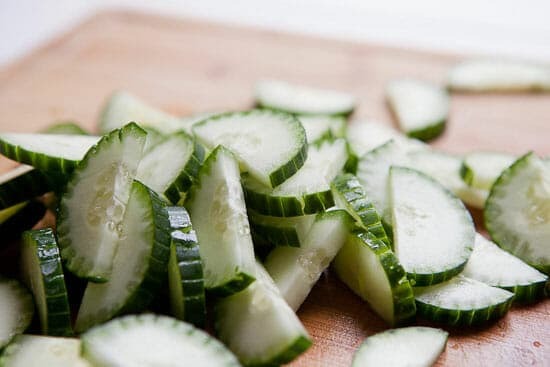 A little trick I learned from Nick while I sleuthed the recipe out of him is to take a fork and run it down the sides of the cucumber before you slice it. Not only does this make your cucumber beautiful, but it lets the dressing penetrate the cucumber a bit easier. For this salad, you can chop roughly. You want the vegetables to be chunky. 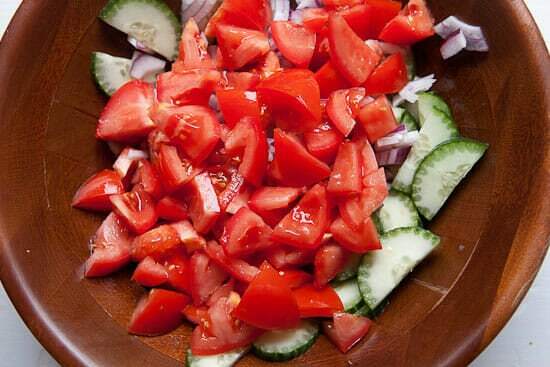 There is nothing fancy about the dressing for Greek Tomato Salad. It’s olive oil and red wine vinegar. You want a lot of vinegar as it makes the flavors really pop in the salad. In fact, I recommend dashing on a bit more before serving, but that’s just me. 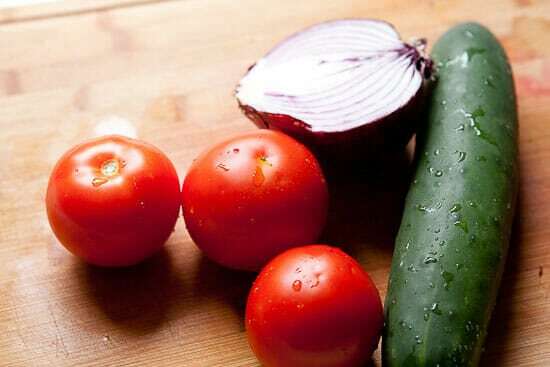 Once you whisk together the oil and vinegar, add the cucumbers and onions and toss them together. Season it with a pinch of salt at this point. Use a big pinch of kosher or sea salt while seasoning. This salad lives and dies by vinegar and salt. Then add those beautiful tomatoes. As the salad sits, the tomatoes will lose some of their liquid, adding to the dressing. I finally got around to planting some herbs on our balcony a few weeks ago and my herbs are taking off like crazy. I think I might actually break even on the costs of them. I planted some Greek oregano which is just perfect for a salad like this. If you add fresh oregano, which is nice but optional, go very light on it. 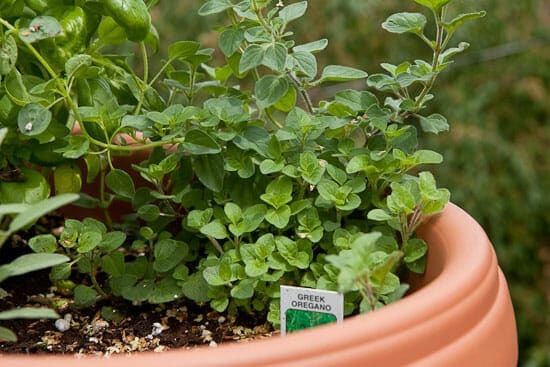 Oregano has a strong flavor and can quickly take over the salad. Toss it together. More salt? More vinegar? You’re done. Could you fancy this Greek Tomato Salad up with olives or feta? I guess so. But it seems like overkill if you can find yourself some really nice vegetables. 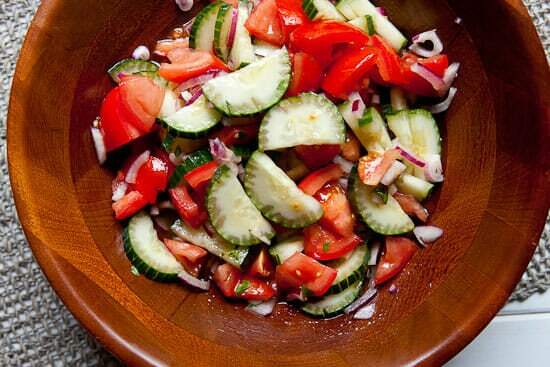 It’s the perfect side salad for a hot summer night. If you don’t like the bite that raw onion leaves when you eat it, do this. After you have your onion chopped up to the size you want, put all the onion in a colander and run under hot water from he tap. Just make sure the hot water covers all sides of the raw onion. It doesn’t cook the onion but removes the bite of the onion. Great tip Julia! Personally, I kind of like the onion flavor, but I get it that most people might not so that’s a great way to deal with it. Thanks! I make something very similar. If you have leftovers, I like to chop it up a little more finely and use as a topping on a sub sandwich—yum! Great idea Anna! Thanks for the comment! I make something very similar to this…only I add feta cheese to it. The salty bite of the cheese is delicious with the fresh veggies.